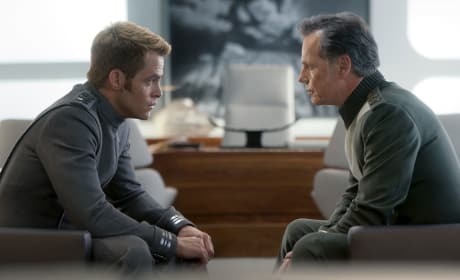 Check out these Star Trek Into Darkness Bruce Greenwood photos and see his role in the J.J. Abrams franchise. Star Trek Into Darkness stars Chris Pine and Bruce Greenwood. Greenwood reprises his role from 2009's Star Trek. 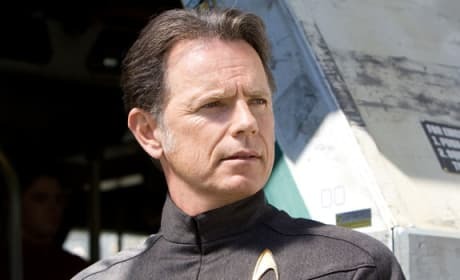 Star Trek Into Darkness star Bruce Greenwood. Although his character dies in the film, Greenwood could always come back in flashbacks, he says. 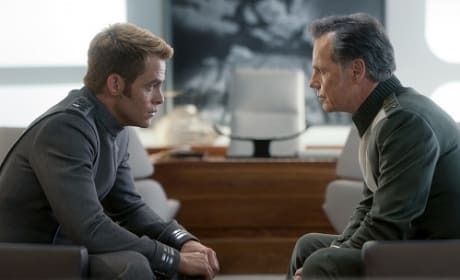 The stars of Star Trek Into Darkness: Bruce Greenwood and Chris Pine. The J.J. Abrams helmed sequel to Star Trek, lands this summer.